Hilton Garden Inn Laramie Laramie, Hotel null. Limited Time Offer! Hilton Garden Inn Laramie. 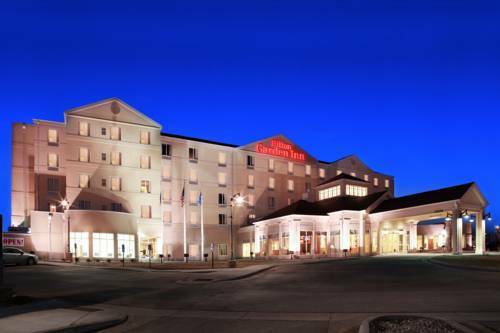 "Hilton Garden Inn Laramie" has obtained 3 stars. This hotel is an ideal base from which to discover Laramie. To help guests get around in the area more easily, there is a shuttle service. You will always find a pleasant bedroom temperature thanks to the relieving air conditioning. The hotel provides its guests with both an outdoor and covered swimming pool. This hotel boasts a gymnasium where visitors have the option to train by themselves. Dinner can be served at the onsite restaurant. In the evening, guests can have a drink at the lounge bar. Of course, access to the Internet is available at no extra charge.